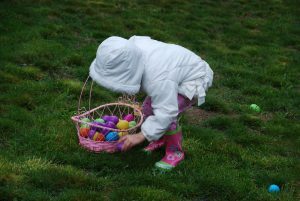 If you have children, join Blackberry Circle for a Vernal Equinox ritual for the young Pagans, 23 March 2019 at 1:00 PM. Blackberry Circle has developed a children’s program and offer rituals designed to introduce the little ones to the Mysteries of our faith. The children’s Vernal Equinox ritual will allow the young ones to experience ritual in a format they can understand and learn from. Following the ritual there will be an Ostara egg hunt held for them. We plan to give the kids lots of sugar so you will enjoy your ride home even more. If you would like to bring some eggs filled with candy or other items, feel free to. We ask that the candy be nut free just in case someone may have an allergy. An adult ritual will follow at 3:00 PM if you would like to stay and celebrate as well. This is not a drop-your-child-off situation. Even during ritual we ask that you keep your child within sight and yelling full name distance. While the little ones are welcome, please leave your fur children at home. Blackberry Circle rituals are an outside event, and as such there is a possibility that you may come in contact with various critters that range from irritating to plain evil. In addition, the land is not concrete smooth by any means and there may be holes, roots, or other impediments out there. Categories: Child Safe and Friendly, Children's RItual, Ritual, Spring Equinox, Vernal Equinox.